Busa :: The search for the BUSA Tour team begins! The search for the BUSA Tour team begins! This July the Inter-Collegiate Sailing Association (ICSA, the US equivalent of BUSA) are sending a team of their best six sailors to the UK to compete against the BUSA team over the course of five official matches in a three week long sailing tour. BUSA have held the overall title since 2001, having won the series 2-1 in the US in September 2011, to retain the BUSA/ICSA Tour trophy. 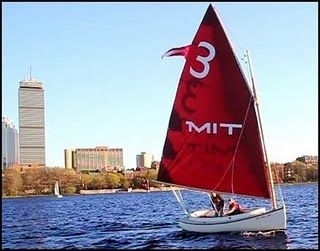 The tour will consist of two and three boat team racing matches and a match racing event. The venues are spread around the country from Weymouth to West Kirby. This year, the proposed boats to be used are Fireflies, Lasers, Elliott 6Ms (3-boat/6-helm, 3-boat single-handed and 2-boat team racing respectively) and J-80s (match racing). The team will be chosen by a panel of external selectors from sailors’ performances throughout the year, at the upcoming BUSA Team Racing and Match Racing Championships, and on the strength of their sailing CVs. If you would like to be considered for team selection for one or more of the matches, then please fill out the attached form and either email or post it to the BUSA Men’s Captain, Phil Derry. This competition truly is the pinnacle of British University sailing as one of the most prestigious university sailing competitions in the world, and a fantastic opportunity to represent your country and be part of an event which has run for over 50 years. BUSA encourages anyone to apply (boys and girls – the tour is an open competition) and so please spread the word around your university sailing clubs to make sure that everyone gets the opportunity to be selected. The deadline for applications is the 1st April 2013. If you have any questions, or would like any more information about the format of the Tour, or specifics of the matches, please do not hesitate to get in touch with Phil. 2017 © The British Universities Sailing Association (BUSA) All Rights Reserved.